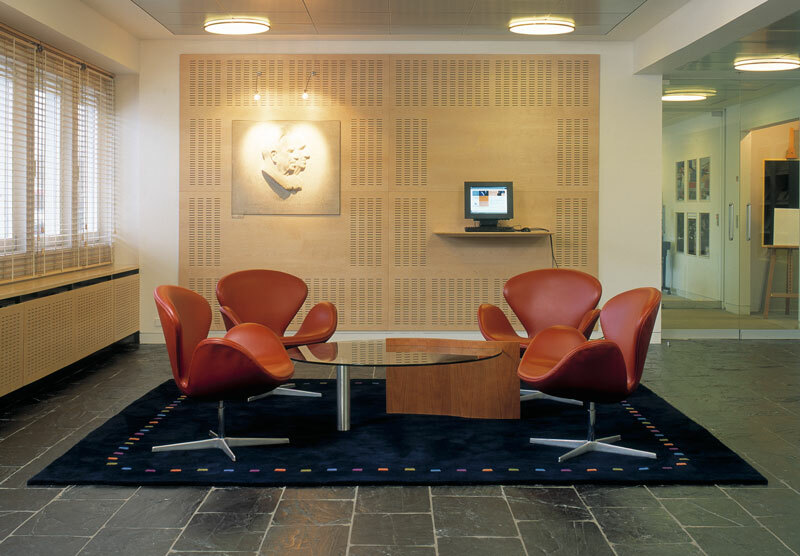 In connection with the restructuring of Novo Nordisk Group, several reception areas were equipped with new carpets, in order to signal one koncern but two groups. Soft, human values are central for Novo Nordisk. 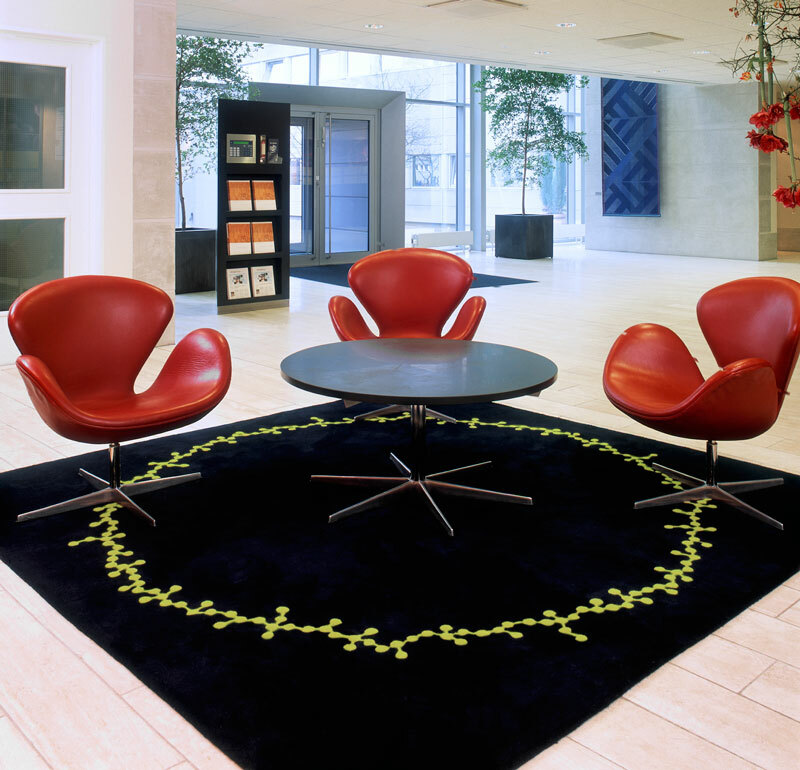 This means all illustrations must be portrait oriented, corners rounded, and this carpet is designed with this in mind. 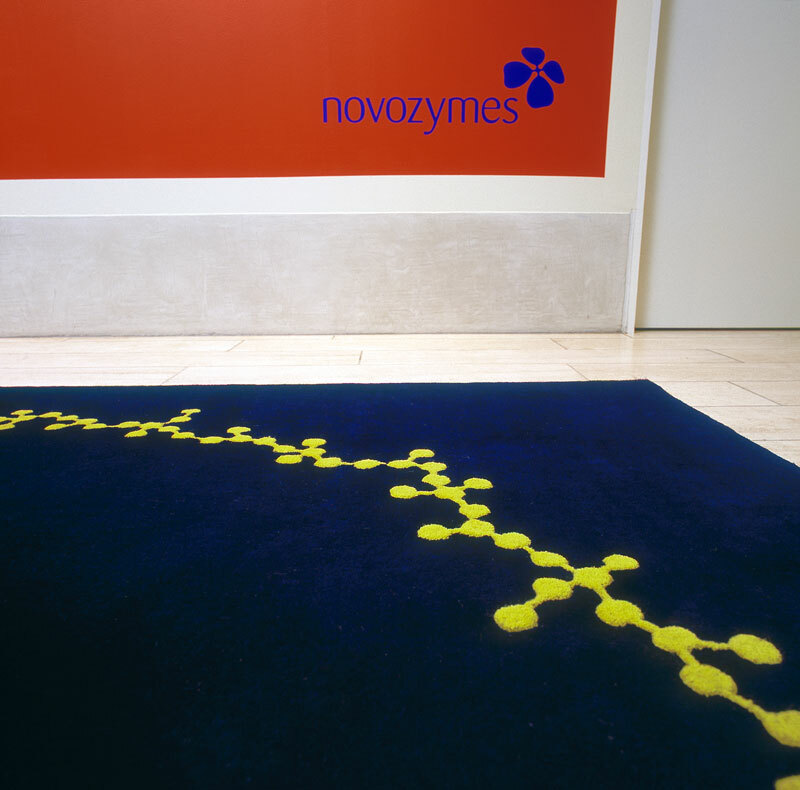 The border of the carpet for Novo Zymes is a stylized enzyme-chain, easily recognizable by those in the know; to others just a border. 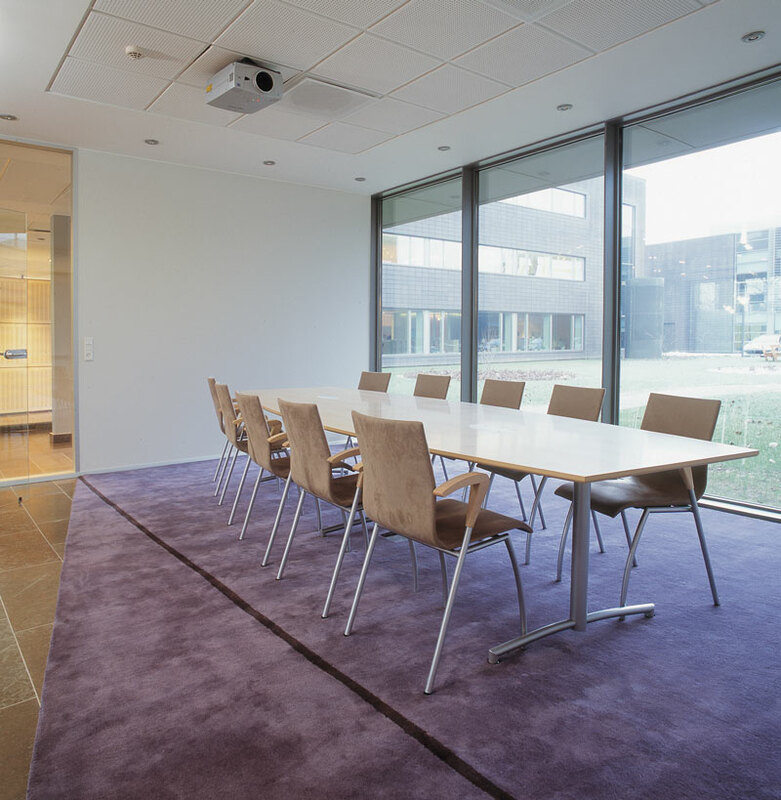 A large room divided into a meeting room with a slanted wall, and a waiting zone. 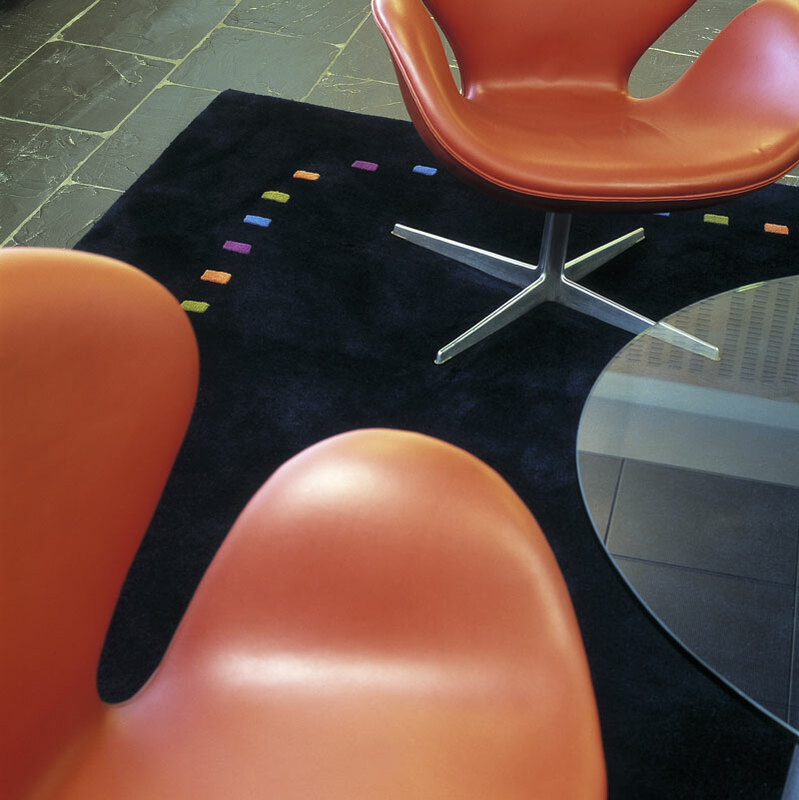 For acoustic reasons, a carpet was needed in the meeting room; it´s shape following the oblique angles of the room.